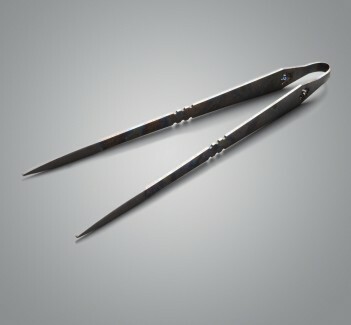 Don't underestimate the potential of this uniquely captivating design with its wide tines and beefy build.  This is truly a fork to lead all forks. 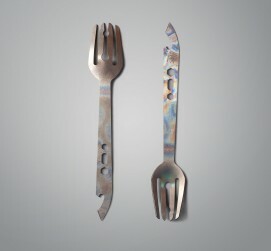 Comfortable in the hand and on the tongue, an ultimate eating tool is born with the AK Titanium Fork designed by DJ Urbanovski and his custom knife and tool company American Kami. 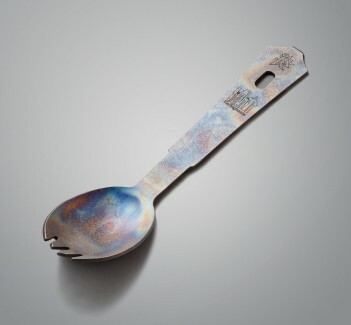 Like the AK Titanium Sporks and the AK Eating Tools Spork & Spoon made by DJ, these forks are built from Berry compliant 6AL4V Titanium, sourced 100% from USA aerospace and military scrap, and finished and heat anodized one at a time in small batches. 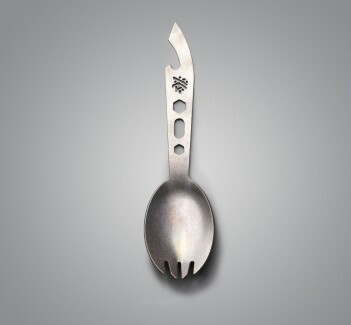 At a touch over 9" long and including built-in bottle opener, you will not go hungry with this fork at the ready. 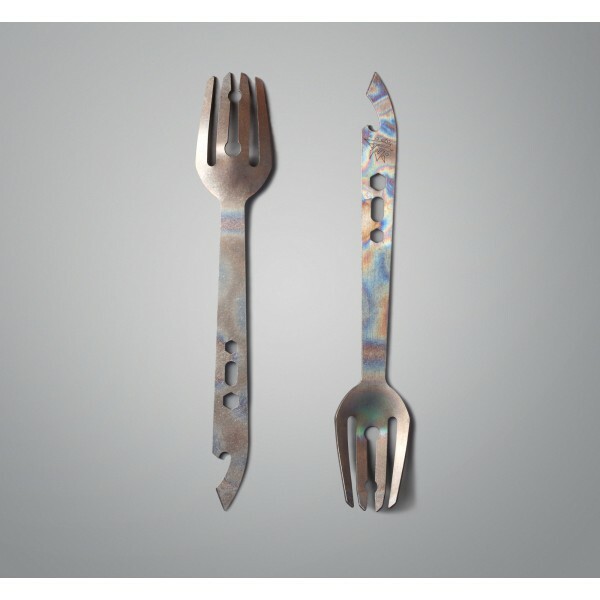 A true innovator in the design and production of hard use tools for the outdoors and dining room table alike, DJ Urbanovski has been creating titanium eating utensils including sporks, spoons and forks for a decade. 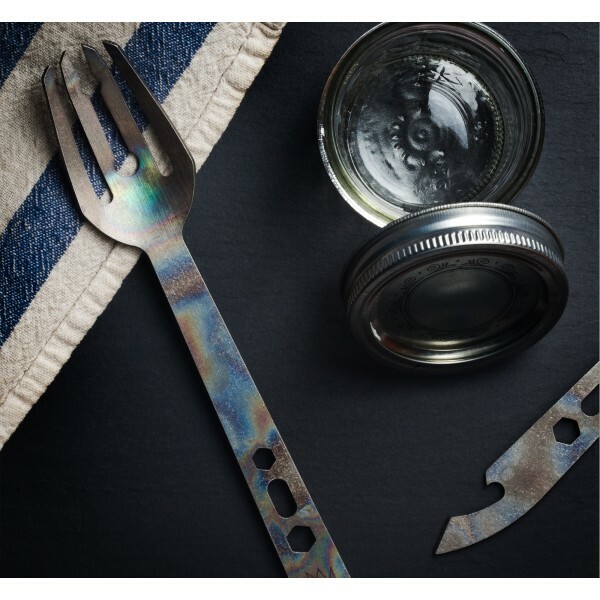 Titanium is not only one of the best possible materials for use in culinary products, but also an excellent choice for tools that must withstand consistent use, heat, and human contact. 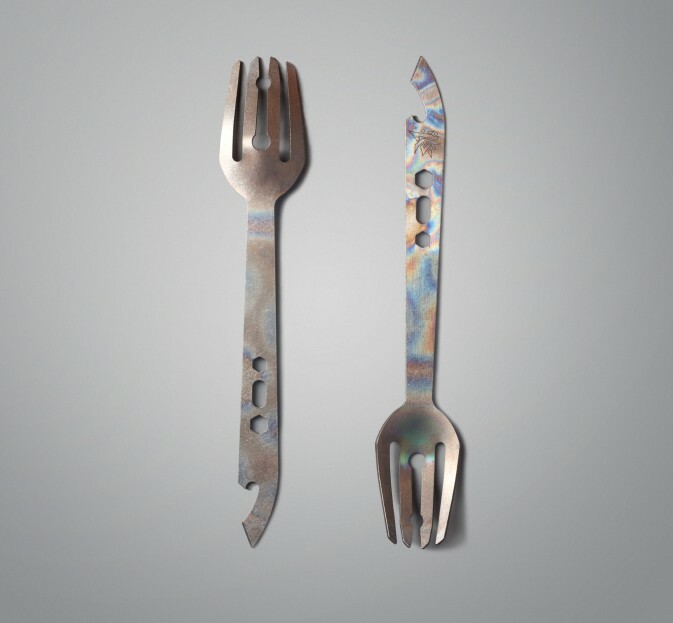 With function in mind above all else, American Kami's use of titanium in unique eating tools for travel, for lunch at the office or for lunch a thousand miles from the office, is an outstanding example of function oriented design.